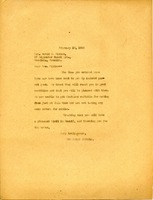 Someone from The Berry Schools lets Mrs. Milton know that her fans have been sent out. 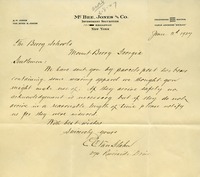 Letter to The Berry Schools from McBee, Jones & Co. The author has sent Berry two boxes of wearing apparel.